How to connect Facebook to Restream! How do I multistream to Facebook? 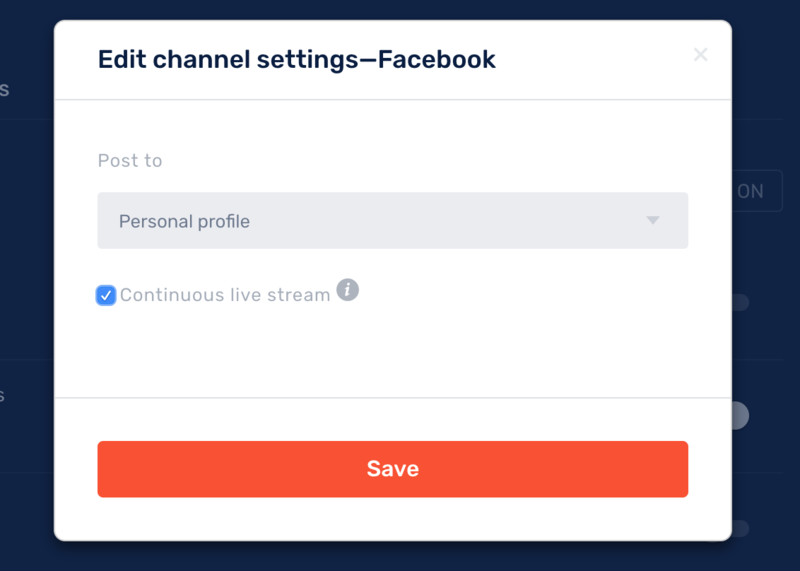 How can I add Facebook to Restream? Facebook is the most known social media platform in the world! 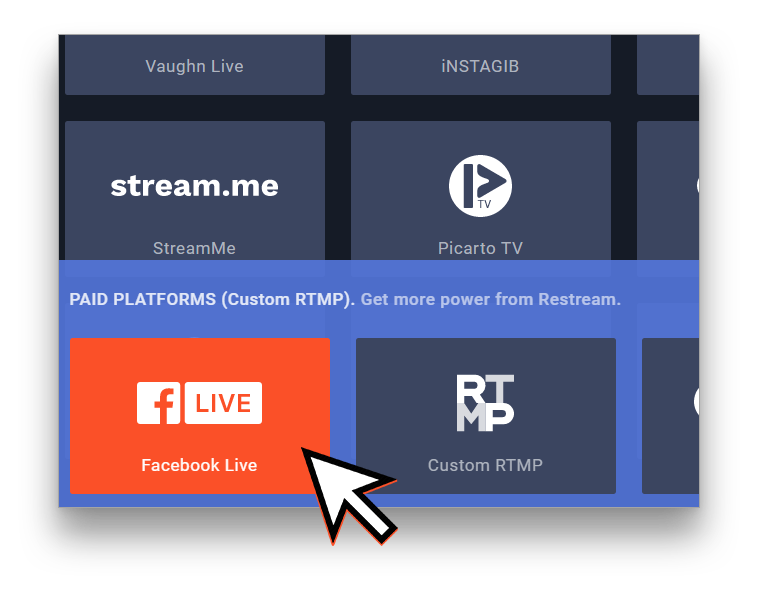 You can now easily increase your reach to Facebook using Restream! 240-Minute maximum length (Learn More). Note: When setting up Facebook, you will be asked if you want to enable "Continuous Live Streaming." With this option enabled you can stream longer than 240 minutes, but the stream will not be saved. 1. Navigate to your Restream Dashboard and click the "Add channel" button. 2. In the stripe of paid platforms at the bottom of the next page select Facebook Live. 4. Grant Restream access to your Facebook account. Note: to post to certain pages your account should have rights of managing those pages. 5. Select visibility of your streams. 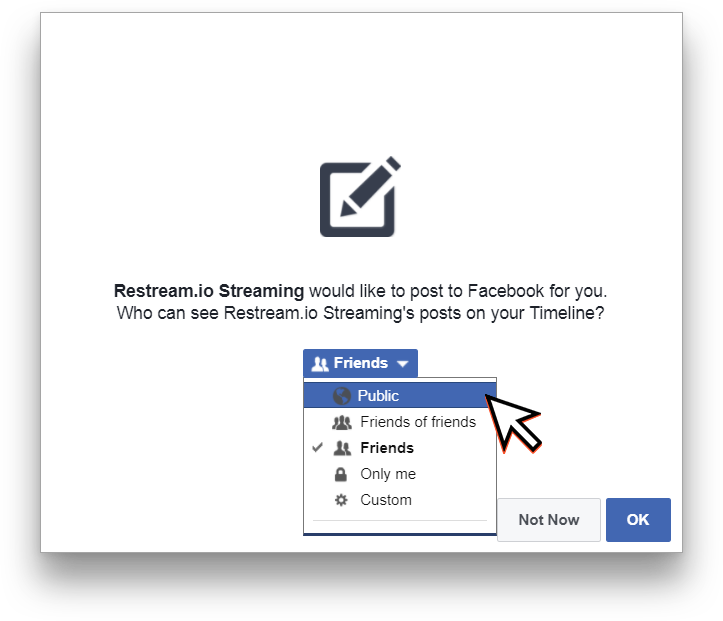 This option may be changed only with revoking Restream's access to your Facebook page and granting it again later. 6. 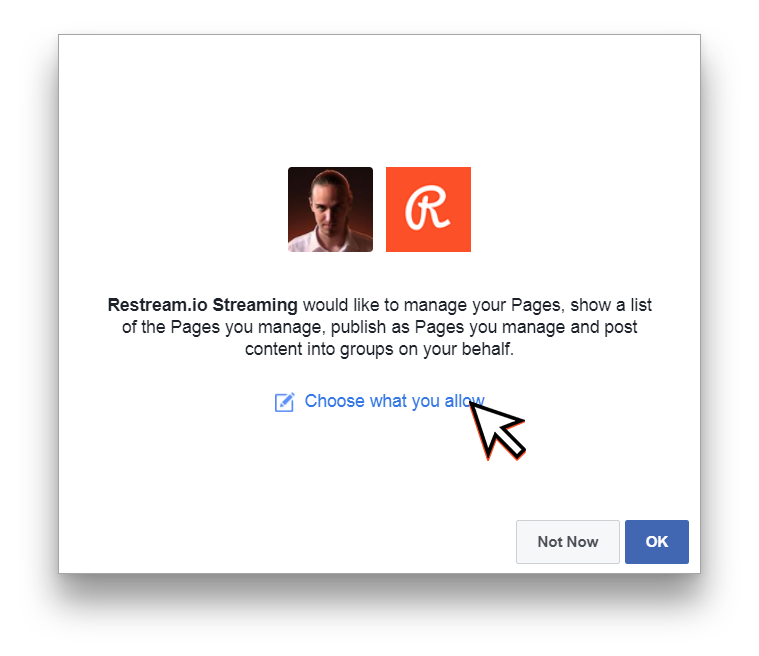 Allow Restream to manage your pages. This will let us start the stream for you. 7. Now head to your new channel's settings. Click the gear icon at the channel's card, and then "Edit Settings." 8. 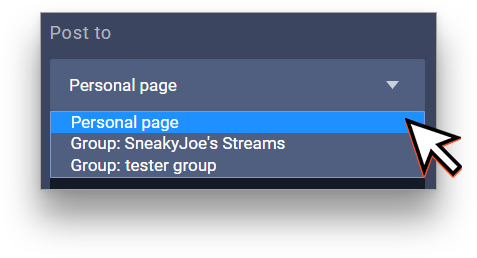 Select the page you want to stream to from the drop-down menu. 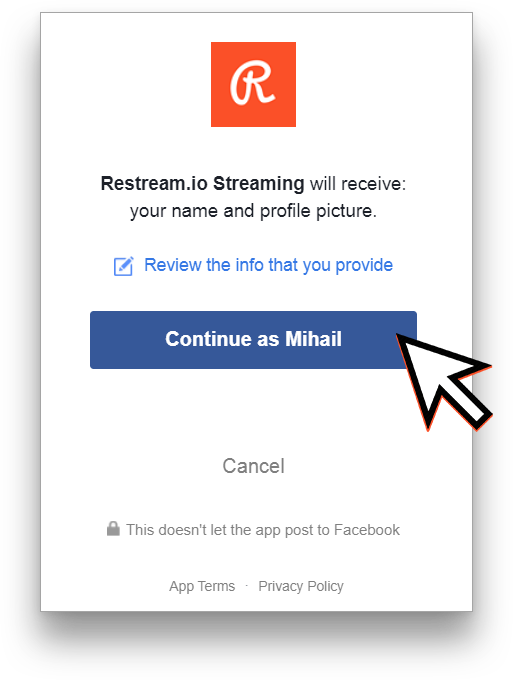 Note: If you want to change access settings for your streams, you need to remove Restream application from Business Integration page of Facebook and then connect Facebook at Restream again granting the right permissions. Tip: You can use "Contunies live streaming" by simply enabling it in the cahnnel settings at Restream. Remember that Facebook does not save your continues live stream videos, but that allows you to go over 4 hours single stream session limit.